Ravi’s last day at the Indian Community Centre. Many charities have seen good people leave over the last 6 months. The arbitrary cuts to Voluntary Sector grants back in March 2016 were cynical – they were never necessary. I wrote on a few occasions that the Council could not control their finances to the level of accuracy required to make that statement. A recent financial audit vindicated that assertion. Anyone outside of the Council Cabinet “bubble” is clear that the Council could clearly afford to continue with these services, as the financial consequences would outweigh the initial cost….and the community impact could be far-reaching, and very damaging. There are many examples of where this is now happening. When an elderly lady comes into her office, who can’t speak English, and who needs help with her bus pass, but doesn’t know where the Council office is, there are options. There are long term solutions but are they practical and realistic? What the old lady needs is a caring hand from someone who will help, not signposting, and courses. Ravi understands that – she knows that she can significantly help that woman’s life with one phone call, immediately. Sometimes people come in to discuss their personal problems, and Ravi just listens. They share details and issues that they don’t divulge to their family – they just need to talk about it. She doesn’t necessarily solve anything but she provides a caring ear, and for many, that is important. 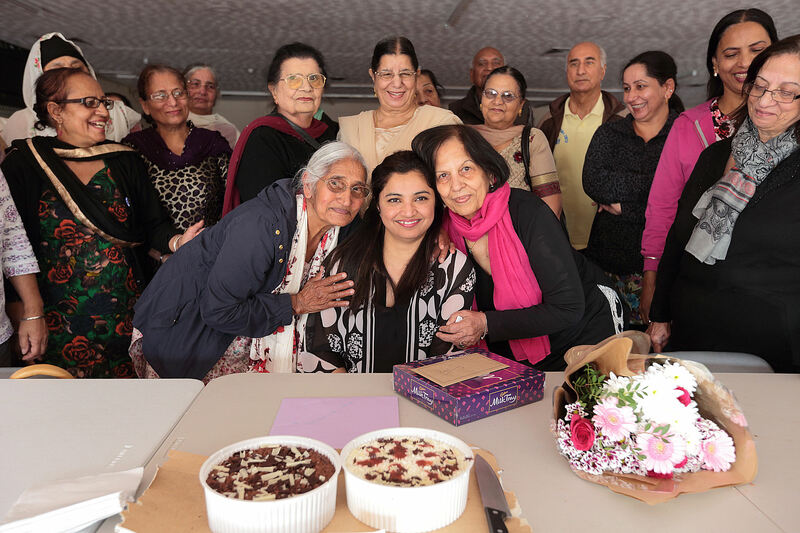 For many of the dozens of elderly Indian men and women, as well as others from the different communities in Normanton, Ravi created a safe and welcoming space. Not something that could be measured on spreadsheets, and reported with graphs….but the community value could be felt. Her role was sustained by a £20k grant from Derby City Council which was cut along with everyone else in June 2016. The management committee were able to extend her employment for a further 4 months, at reduced pay, as the results of many external bids were awaited. They all proved unsuccessful – most funders want measurable, innovative, substantive projects with grand strategies, definable outcomes, boxes ticked, graphs prepared – all very corporate….and inconsistent with community work with elderly Indian people. Years of being funded by Derby City Council did breed a reliance on a simpler route for finance which meant that time was needed to allow a transition to new funding – this was not allowed. 30th September 2016 was Ravi’s last day, she had to move to support herself and her son. The volunteers, ladies and gents of the Centre were very saddened – life will not be the same. Everyone will try to maintain the spirit valiantly but they know it will not be easy. Those elderly who broke free from social isolation will probably slide back into their old ways at home, those with early stage dementia might become disorientated and stop being supported, the community atmosphere will fade, and something very vital will be lost, for ever….for what? To save £20k, when the Council underspent by £2.2m in 2015/16. It’s about decisions, and priorities, and taking accountability. To blame it on Tory cuts is just empty callous rhetoric. Cutting grants of this nature was, monumentally the wrong decision, and the community will suffer in many and varied ways for a long time. As people leave the city’s charities and their influence lost, their good work, unlike the water in the fountains, cannot be switched on again, in the future, with the turn of a tap….. Sometimes it’s not about cost…it’s about community. Something you would expect a Labour Council to understand. Hi Russell , I know you get some stick from some people but a lot of your articles are wide and varied and not just local topics but international as well . Where I work my work colleague said your article on the TA’ s is spot on . His partner who I know is actually a TA and she is facing a huge wage cut ! He has himself had a huge wage cut as did myself when the company we worked for changed our contracts . This was several years after we transferred over from a NHS hospital with all our terms and conditions to a non profit charity that operated like a private comany and was non union . Many of us who transferred over were in UNISON . We went on strike but lost as the officials not those on strike and leading it let us down . However three months after strike we got a pay rise first time for years . One of us had found out doing research that 5 of the companies one of whom we worked for had made £2.2 million in surplus which they donated in gift aid to the parent company so no tax paid . The person also found out that four of the executive directors were on over £100,000 a year a lot more than at the time a Support worker was on £7.56 an hour who are the spine of the organisation . Now my work colleague faces another wage cut in their household income if the council get away with cutting her pay .The council leader and council is out of touch . For instance in the DET the other day he is quoted as saying ” it is better than before ” he is on about the Spot . Well Russell he is the only one who does . My wife who is from Poland was very upset when they changed the spot . She said to me” what are the council doing ?” ” This is art deco, it is very attractive ” I would add to that it was a nice place to sit down and the clock played wonderful tunes , yoy could use a free toilet and yes my wife was right it was very attractive . You keep up the good work with your forensic artcles .